You all must have heard about Drupal at some or the other stage of the web development life cycle. But if you are wondering what Drupal 8 is, then you certainly have come to the right place. 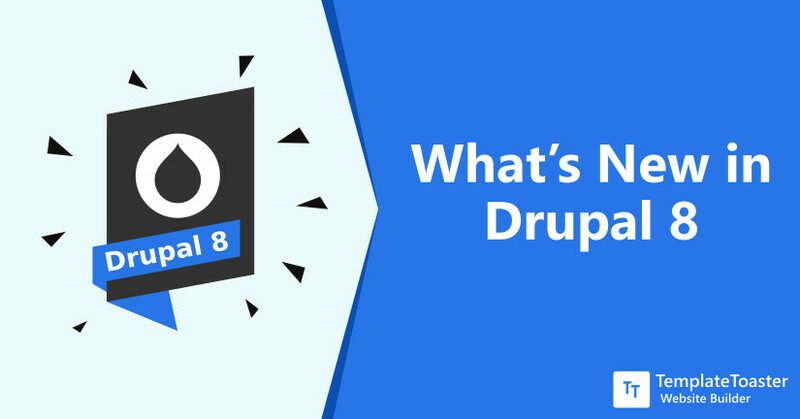 This guide will cover all the aspects related to Drupal 8 features, introduction, screenshots and what’s new in Drupal 8. Needless to say that WordPress is the simplest and the most widely used CMS present today and Drupal, on the other hand, is the third most commonly used CMS. It is a reliable and secure open source content management system (CMS). The flexibility and out of the box features of Drupal makes it a compelling framework for building up sites and other web applications. Drupal has thousands of volunteers who strive for its development, create modules and themes that are freely accessible to use. Drupal 8 is comparatively the easiest version of Drupal. Those of you who have worked with Drupal 7 will definitely agree with me. Isn’t it? However, it doesn’t matter, if you have worked with any of the previous versions of the Drupal or not because working with Drupal 8 will be a different experience altogether. In fact, you might already be using Drupal every day without even noticing because many government organizations use it for their official websites. As you know Druapl is a CMS. Content Management System or CMS is a computer application which is responsible to manage the content of the website. A good CMS should be able to serve you with various required features to create, edit, manage, delete, and maintain the content on the web. Various CMSs can vary in features except for the basic functionality. It is used to get rid of the hand coding. And talking about precisely Drupal, it is the most customizable and scalable out there. 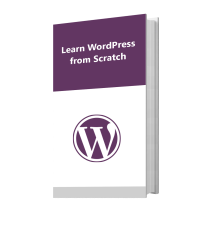 It makes it easy to create a Drupal theme from scratch based on your requirements. Its community is constantly evolving and making it limitless. Since Drupal 8 is highly flexible and extensible so, it runs the different type of applications. Here at Templatetoaster website maker blog let’s browse the following list to know the places where you deploy it. Drupal 8 support heavy-traffic websites effortlessly. Certainly, every version comes with some new and advanced functionality, and so is true in case of Drupal 8. It is now able to cop up with modern PHP standards, object-oriented programming along with various fundamental factors of Symphony 2 framework. The integration of object-oriented programming helps in re-usability of the code and maintainability that you won’t get with procedural programming. Symphony 2 is making the Drupal 8’s backend really powerful. It is a high-performance PHP framework that boosts page caching. The inclusion of technologies like CKEditor, jQuery, Twig, Guzzle, and Backbone.js makes Drupal8 a great platform to create heavy websites. Drupal 8 Features. Now let’s dig into the newly added features of Drupal 8. 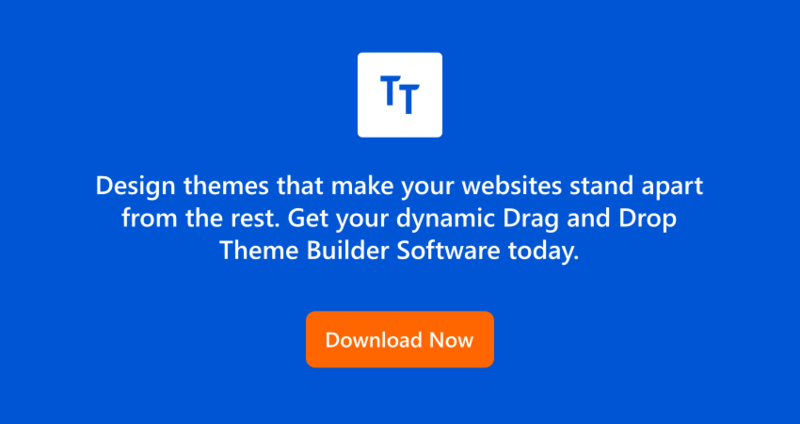 Twig is the newly added theme engine in Drupal 8. It’s a PHP-based fast, flexible, and secure theme engine. Twig makes it easy to create a website with Drupal by providing secure and blazing fast functionalities. Twig brings in the all-new approach to theming. With Twig it has become way easier for any non-PHP skilled user to manage theme in a Drupal website. Drupal 8 is coupled with many built-in languages to serve everyone by saving time and effort. Basically, Symphony has an in-built element known as Translation which does it all. It manages the language files and thus, show the site content in multiple languages. With easy translation capability, you can quickly translate almost everything such as content, blocks, menus, taxonomy, user profiles, image styles, views, text formats, comments, feed and everything you want to display on your website. It allows full site translation. In the seventh version of Drupal, the approach to deal with the responsive design was a little different than version 8. Drupal 8 uses breakpoint media queries that help to make a site responsive with respect to the screen size. All the built-in themes of Drupal8 are responsive by default. It becomes way easier to design a responsive website with Drupal 8. Drupal 8 is using the best version of HTML which is loaded with new functionalities. HTML5 has a simplified syntax which delivers clean code. And it further helps search engines to read it easily thus, improving the SEO ranking for your website. In Drupal 8 adding fields like information, email, contact information, etc. is quite easier than Drupal7. And HTML 5 in Drupal 8 gives cross-browser compatibility. The configuration management solves a lot many problems in Drupal 8 which we had to face in Drupal 7. Now it stores the site’s configuration information in a very unique way. The development workflow of the configuration system makes use of tools such as Git and Drush. In fact, the available forms manage the site’s configuration provided by the administrative UI. And you can store the information like content, cache, state, and configuration & session either in simple configuration mode or as configuration entity. Also, you can easily import and export the required features. With the inclusion of Content Editor, WYSIWYG Editor, and the CKEditor in Drupal 8 it becomes easier to manage the content and workflow of your website. The most noteworthy improvement is the in-place editing. Indeed pretty helpful for the content editors. Well, the in-place editing means any content creator can edit the text of any page without having to switch to the full edit form. It is really simple to create drafts now. Drupal is often considered as one of the fastest CMSs present today. And the release of Drupal 8 in the year 2015, it has raised the level as it came with the integration of the BigPipe module. Initially, Facebook invented this BigPipe page loading method and since then it has become the most famous method for fastest page load. But Drupal 8.3.0 used it as a separate module for better user experience. However, it is an integral part of Drupal 8 and totally different from its previous versions where users had to enable it manually through the Drupal core. Web services are more important nowadays. In Drupal 7, we had to use third-party plugins for web services. Whereas, services have become an integral part of Drupal 8. It uses itself as a data source and shows content as JSON or XML. You can use frontend to post the data. And The Hypertext Application language (HAL) is implemented in Drupal 8 to ease web services as much as possible. Is Drupal 8 fit for your business? Indeed, Drupal 8 is a remarkable rethinking of Drupal from the version we all have using so far. It may take some time for the newbies to learn and understand Drupal 8’s design and functionality. But once they know how to harness the power of Drupal 8 for their own profit, they won’t be able to stay away from it. Apparently, the adoption number so far back that up. Drupal 8 is a powerful CMS that provide you every required functionality to manage your complex website. And the available Drupal modules can help you extend the functionality to whatever level you wish for. However, one of the great strengths of Drupal is its active community of over 1 million people who are continuously working to make it as flexible as possible. The community members are so cooperative and helpful that they never miss a chance to share any new update, knowledge over a specific topic with each other. And the community is the best place to get to know about how Drupal is better than other CMSs by asking your questions. Meanwhile, you can read about the massive comparisons between Drupal vs WordPress and the other important comparison between Drupal vs WordPress vs Joomla. Not to forget Drupal vs Joomla. Nonetheless, the web industry is mostly revolving around Drupal, WordPress, and Joomla more than any other CMS. As we have seen that Drupal 8 is a strong framework to create a website with. And its massive community is always there to help you learn about the new changes and shifts that you come across while developing your site. Creating a site can be a little daunting task at first but you can sit back and relax if you’re working with Drupal 8. Amazing flexibility, security, and scalability can never go wrong. And before I end this discussion, I would like to remind you that don’t forget to share your views about Drupal and do tell me about your experience using it. You can write to me in the comments below.